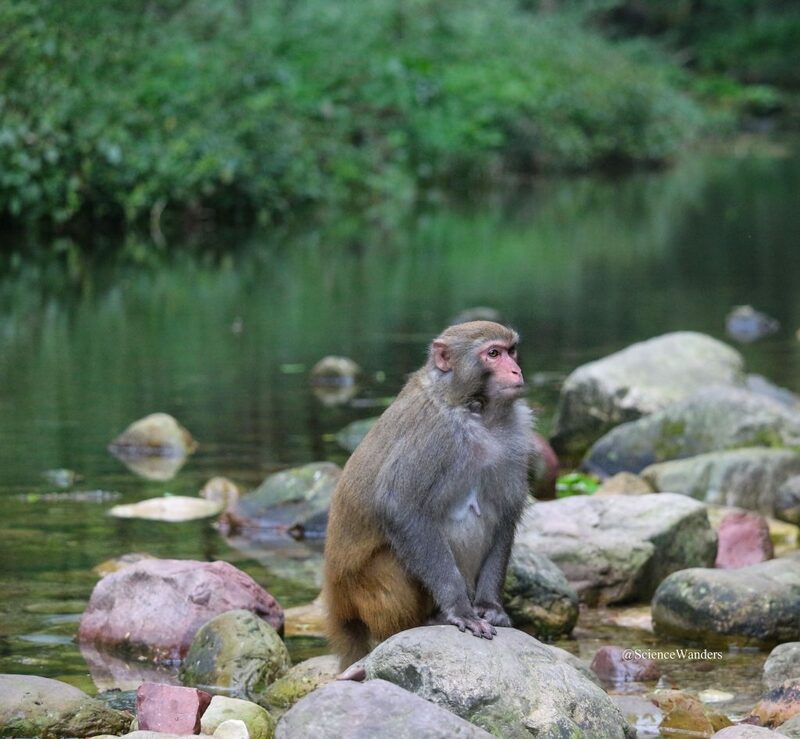 Besides sharing Zhangjiajie with other people, you’ll also be sharing the park with some distant cousins: monkeys! 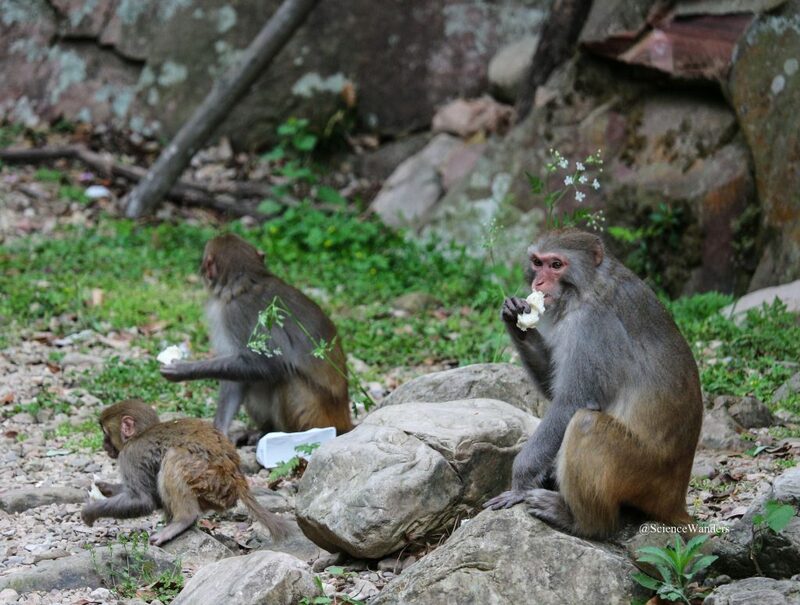 (Officially Rhesus macaques, scientific name: Macaca mulatta.) These concentrate in particular points of the park, where you’ll find them swimming in streams, swinging from tree to tree, fighting with each other, and trying to steal your food. Although they’re adorable and quite friendly, you should take some precautions here as they may have rabies. Don’t tease or feed them, though you will see most internal tourists doing the exact opposite. 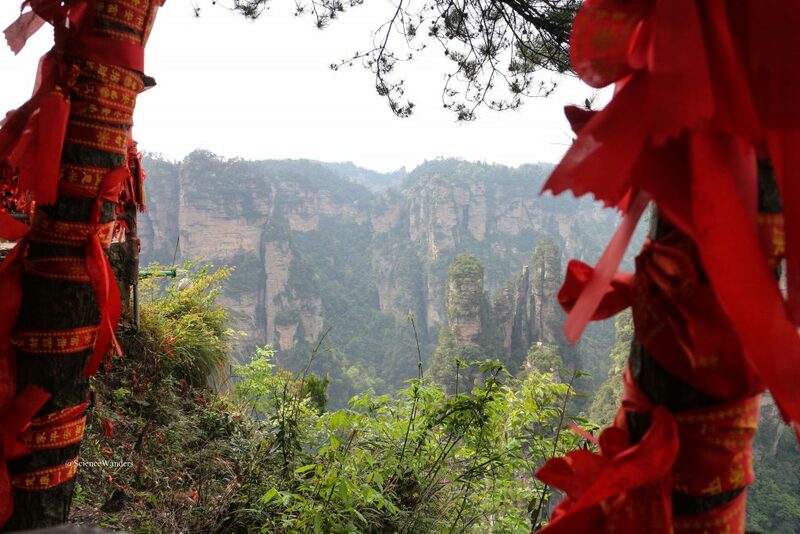 Besides the awesome nature, a visit to Zhangjiajie will also give you insight into Chinese culture – both good and bad. 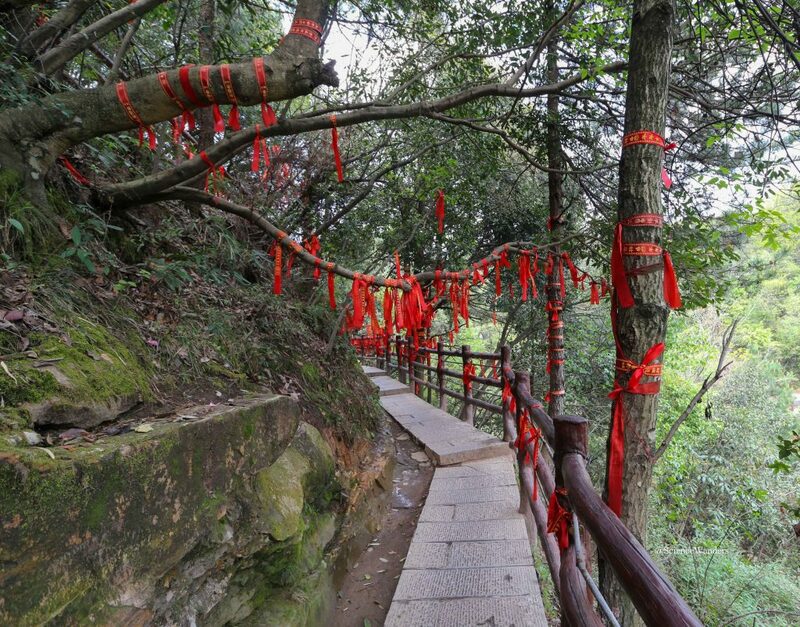 These red ribbons are wish ribbons; red in Chinese culture signifies luck and happiness. Each ribbon is somebody’s wish, often love-related, and it’s thought that the higher up this is tied, the more likely it is to come true. Hence all the ribbons up here! 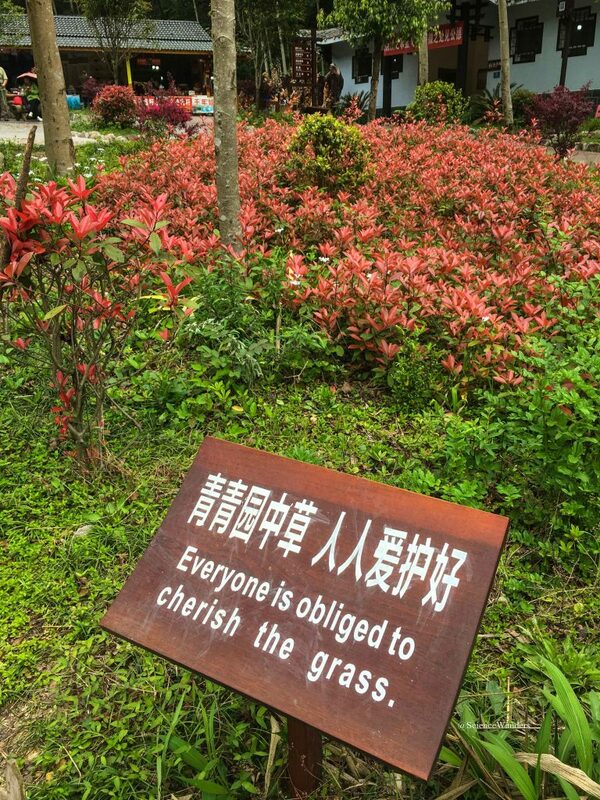 Famous Chinglish also abounds – though here it seems to take a philosophical slant. Unfortunately less endearing Chinese norms are also clearly visible – overcrowding, an incomprehension of personal space, and an inability to queue. Just like in the film, humans diminish the beauty of Pandora. But it’s still an understatement when I say that a visit is very well worth it. Base yourself in the town of Wulingyuan, from where you can just walk into Zhangiajie National Forest Park. This will allow you to maximise your time there – the park is huge, so the more time you have the better. I stayed at the Crowne Plaza. It was a good hotel, but barely anyone spoke English. This though is the norm in China. There are various other options, mapped below, and the town also has a number of restaurants and shops. Wulingyuan also allows for a peak into the daily lives of Chinese townfolk – women washing clothes in the river, men playing Mah-jong in the park, children squatting and peeing in the streets (yes really), whole families going by on one beat-up scooter…. The ticket to enter the park last for three days and prices vary according to the season; March to November is CNY 225 and December to February is CNY 115. This ticket includes the use of various buses within the park, which is served by numerous routes. Be aware though that these are packed as tight as a bag of rice, and the queues for each are laughable. Everyone rushes to catch each one, pushing and shoving others out of the way. You’ll need to use these every so often if you want to visit various spots within the park, but to maximise your enjoyment keep these to the minimum possible. I often walked between the various spots whenever I could and this offered the additional bonus of seeing emptier, awesome spots in between the more famous ones. There are other transport possibilities, for which you’ll have to pay extra, for example the Bailong Elevator, Cable Cars or Train. The Bailong Elevator was terrible and definitely not worth the money. Conversely the Cable Car was great, and I can totally recommend it. It gives a banshee’s view of the various peaks and much needed solitude. I spent two days wandering around this part of the national park, which felt like good enough time. 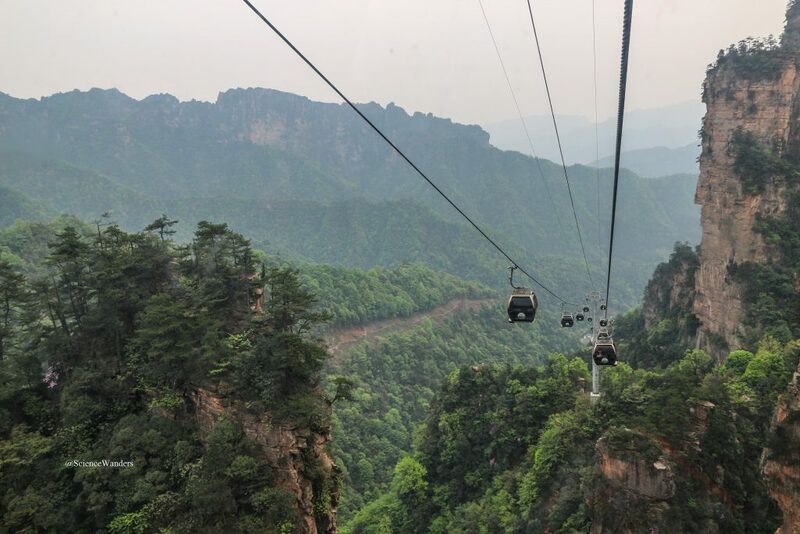 However this part does not include Tianmen Mountain (Gateway to Heaven, Glass Skywalk) and Zhangjiajie Grand Canyon (Glass Bridge), which are miles away and need to be accessed separately. If you’d like to visit more than one area, you’ll need to budget at least one more full day for each. All three sections are mapped below.